While some stews do closely resemble soups, the difference tends to be the consistency, with less liquid and longer cooking times, stews have a healthier and smoother texture. 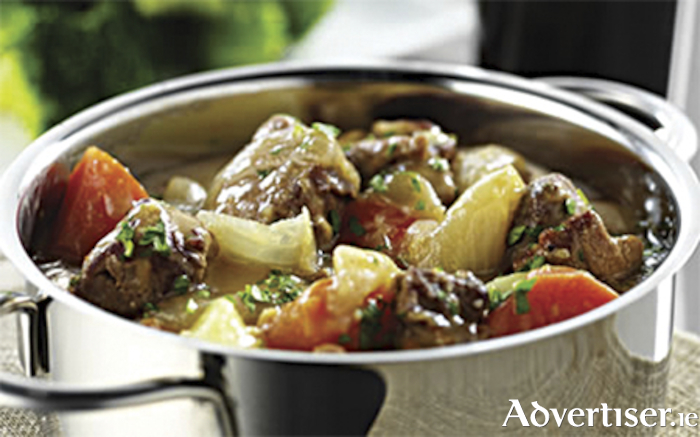 Heavier ingredients and less liquid can result in a more caloric meal, but if done right, an Irish stew can be a healthy, filling option. With a mix of healthy carbs, lean protein, and lots of veggies, a bowl of stew has all the makings of a well-rounded meal plus eating your dinner with a spoon instantly slows you down, leading you to eat less overall. In a fresh pot put the meat, bones, bouquet of herbs, onions, seasoning, carrots, leeks and turnip and cover with water. Simmer gently for one hour. Skim off the foam as it rises. (this is very important for the final flavour and appearance of the stew. ) Add the potatoes and continue cooking for 25 minutes. For the last 5 minutes add in the cabbage. When the meat and vegetables are cooked remove the bones and bouquet of herbs. Stir in the chopped parsley and a dash of Worcester sauce.